This "Historically Speaking" column appeared in the Exeter News-Letter on Friday, December 2, 2016. 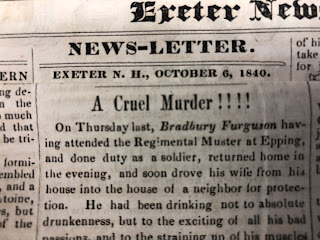 The Exeter Historical Society’s mascot, History Bat, hasn’t been around much lately. When the town put a new roof on our headquarters at 47 Front Street back in 2012 it must have sealed up all the crevices that the bats used for entry. As glad as we are not to have bat visits, we still embrace our mascot. Attempts to eradicate the bat colony were usually foiled. Bats have to be moved out – you can’t simply spray deadly chemicals – and this requires some patience to wait for them to wake up from hibernation. And since they seem to be homebodies at heart, they have a tendency to come back. Since the Historical Society moved in there have been fewer bats, but we still have the occasional visitor. People seem to naturally respond to bats the same way Homeland Security advises people to respond to an active shooter: Run. Hide. Fight. But rest assured, a wayward bat means no harm. They’re not wild about being stuck in a building and usually want to leave as soon as possible. They’re also not particularly interested in people unless those people are chasing them with murderous intent. I’ve found the best way to deal with a visit from the History Bat is to keep your wits about you and help the bat leave on its own. Pam had her own tactic. “We evolved a regular bat drill. The first thing is to wait for the bat to land. If he was already asleep and we came to work and found him hanging there, so much the better. Library supplies come in small cardboard boxes just the right size for slapping over a quiescent bat and holding him in place while you slide a record album under him.” I prefer a butterfly net, but any type of containment will work. Take your bat outside and set it free. It might come back, but maybe it won’t flap its way into your work space again. The library was concerned, correctly so, about the possibility of rabies. Exeter’s health officer, J. Harold Carbonneau, Sr. had Pam take one of the bats to the state lab for testing. 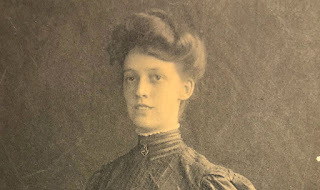 None of the library bats suffered from rabies. Apparently they just had intense curiosity about books. Our most recent bat was an art lover. Hanging on the wall in the main meeting room of the Historical Society is a beautiful painting by Elizabeth Gardner Bouguereau called “Crossing the Brook.” Of all the places to settle, the bat chose the painting. Out of reach of my net, and not wanting to injure the painting, we threw the front doors open and after some gentle prodding with a long bamboo pole, the history bat decided he had other things to do that day. Rumor has it you might catch a glimpse of History Bat in the Holiday Parade this week. 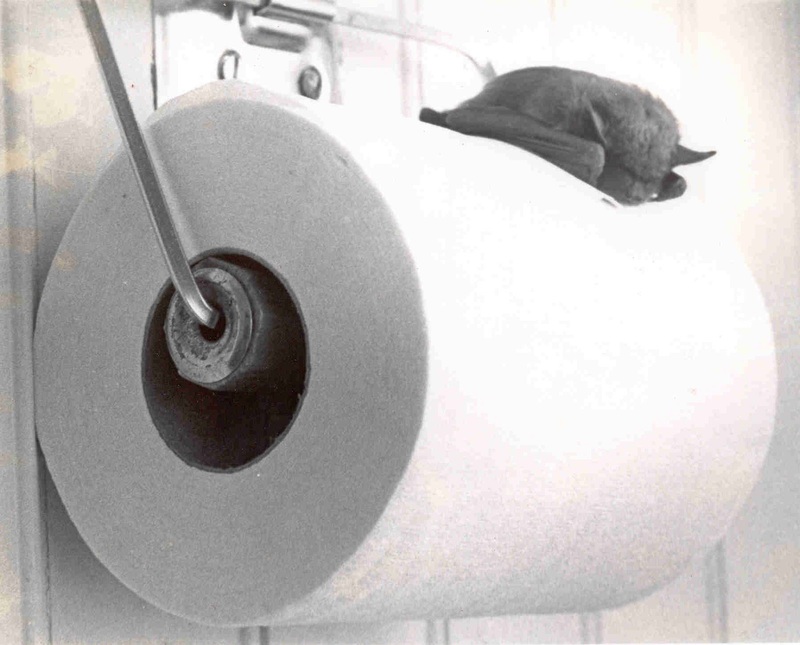 Photo: The History Bat (formerly the Exeter Public Library Bathroom Bat). Please be assured that the only bat you may encounter at the Exeter Historical Society today will be our cartoon mascot.